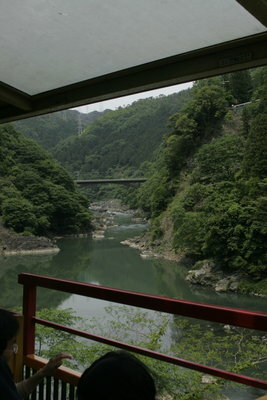 Fun open-air train ride along the mountainous and picturesque Katsura river. 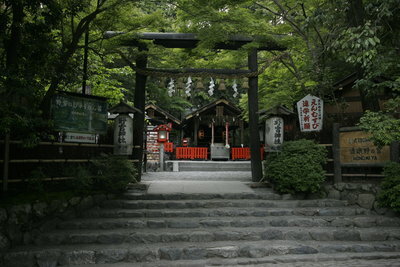 Often paired with a boat ride back down the river. 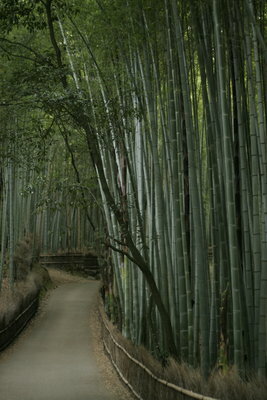 Picturesque and peaceful path in Arashiyama. 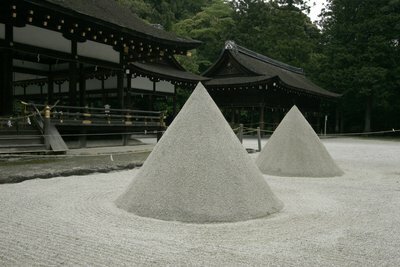 Temple with large and excellent Zen garden. 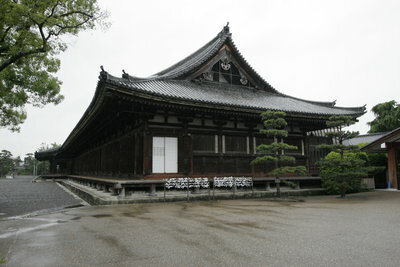 Large temple complex with an former Imperial palace complex. 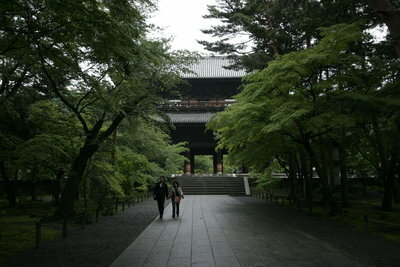 The temple complex is free, but the palace with its covered walkways is definitely worth seeing. 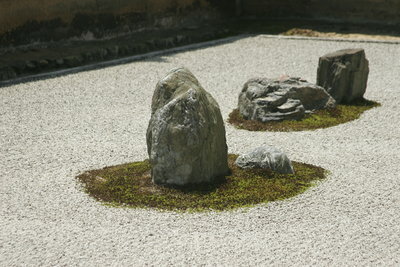 Temple famous for its rock garden. 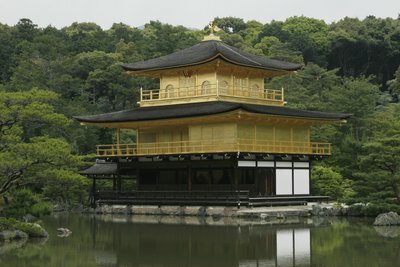 Known as the Golden Pavilion in English, this striking summer house has beautiful views and a pleasant garden. 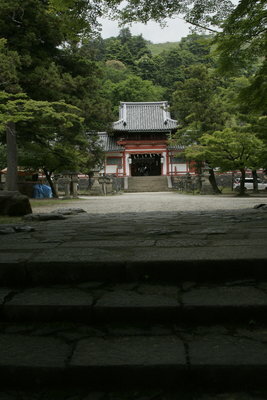 Temple complex in northern Kyoto. 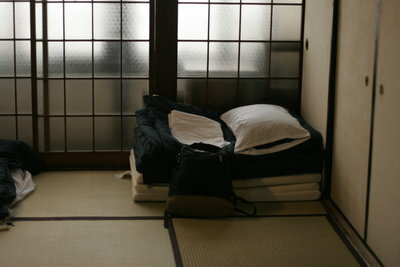 Hostel in NW/Central Kyoto. 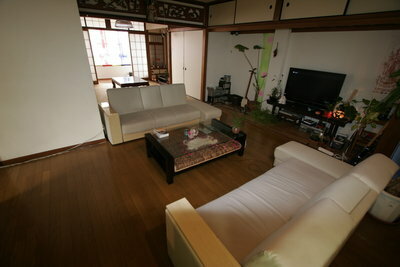 Modern, with very friendly owners, and feels more like a home stay than a hostel. 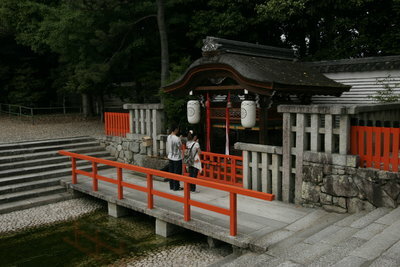 Large temple complex with a Meiji-period aqueduct and a three-gate Mon that you can climb up. 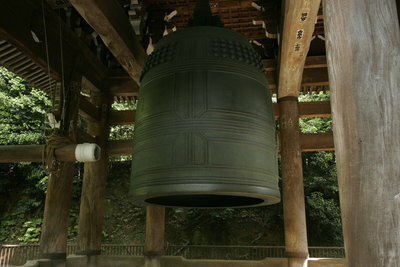 Functioning Buddhist temple with large bell. 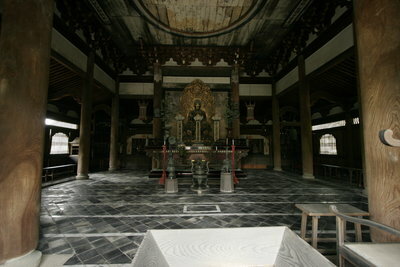 The remains of the emperor’s palace in Nara. 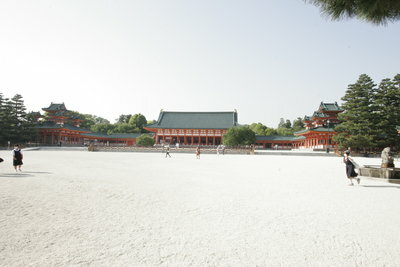 It is a quiet field, with a replica of the main gate. 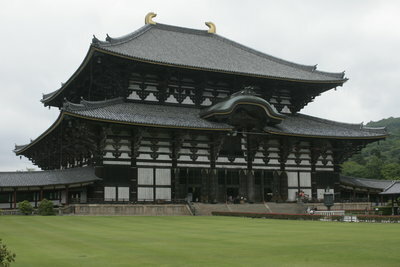 Temple in Nara with a huge statue of Buddha. 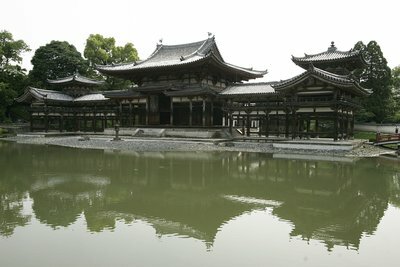 The temple is the largest wooden building in the world, and the temple was originally so powerful that the capital was moved from Nara to Kyoto in response. 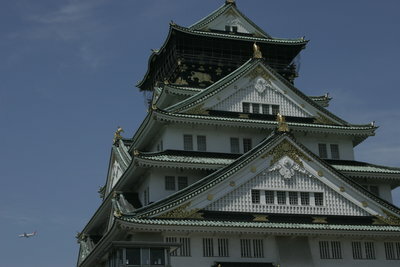 The largest and best-preserved of Japan’s castles. A must see. 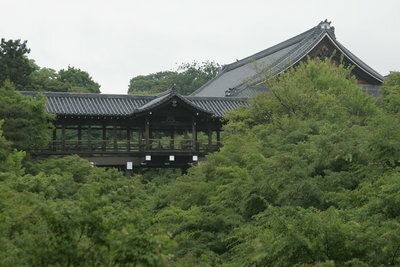 A replica of Toyotomi Hideyoshi’s impressive castle that burned down in 1665. 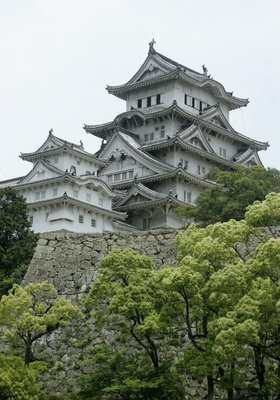 The moat is still original (and also very impressive). The Gallery: pictures with artistic merit. 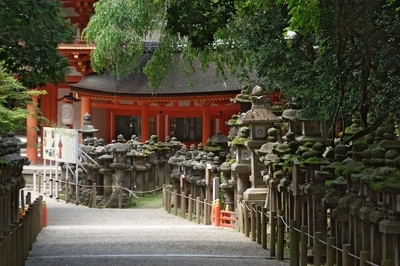 The first week of May is Golden week, the major Japanese holiday season. Avoid this week. 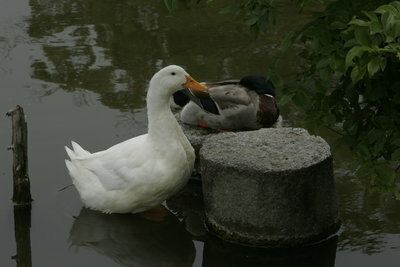 June is the rainy season. Judging from my one day of rain, it tends to rain throughout the day, kind of off and on, not very hard. 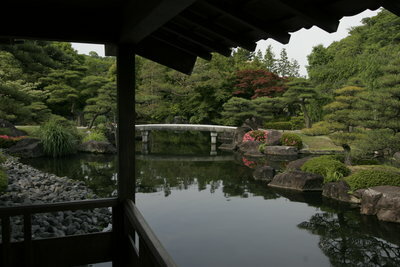 One advantage of rainy days is that colors are more vivid when photographing, plus you don’t get harsh shadows. 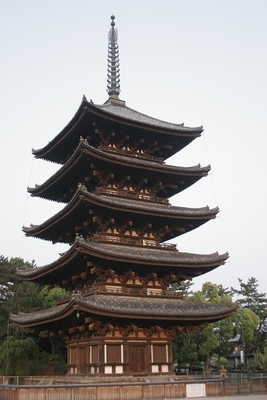 Cherry blossom season is generally in April, but it varies greatly. 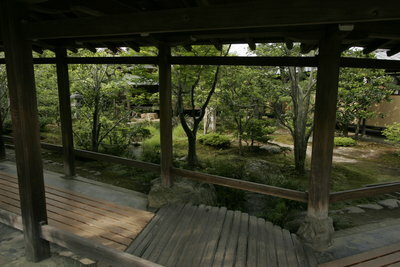 I chose not to go during cherry blossom season because it is busy and I wanted green trees, not pink. I chose the middle of May, which was great: not too hot, not too rainy, and except for all the school field trips, not crowded. 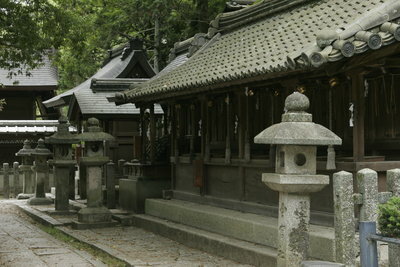 You might check to see if any of the temples have festivals near your visit. 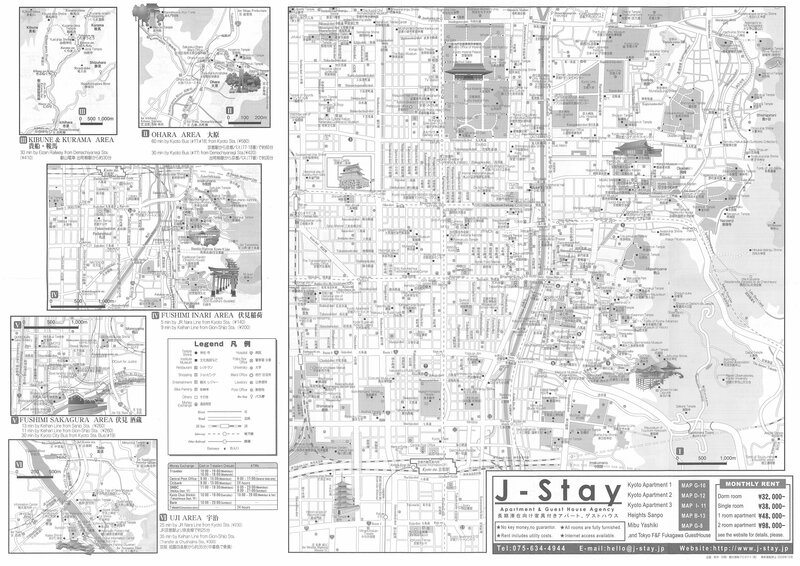 The Kyoto Backpacker’s Map: (front, back), which seems to be published by the major hostels. It is very thorough, and is available for free at the hostels. 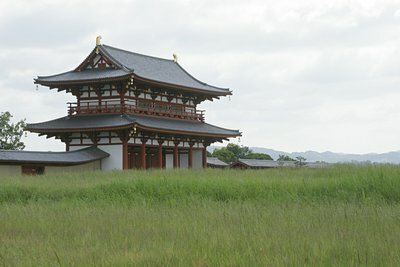 The Nara Sightseeing Map, available for free at the tourist info center (go right from the JR station and it is on your left on the corner). 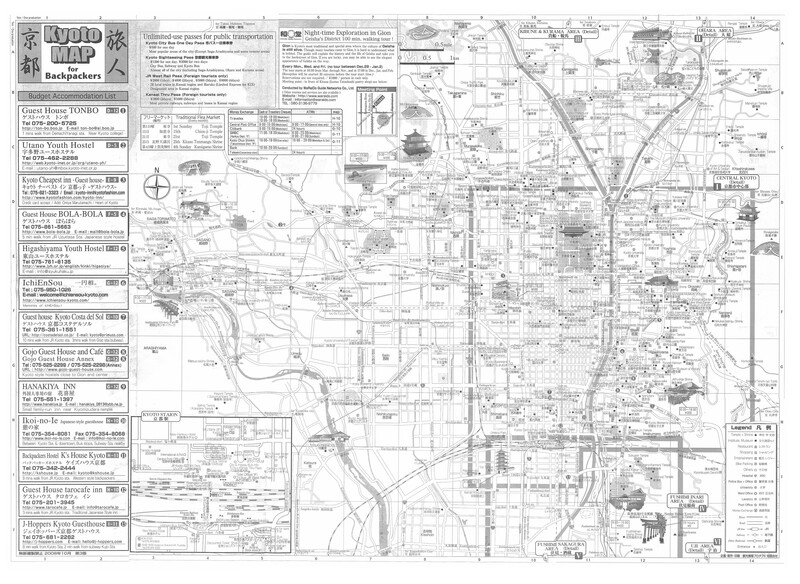 Note that the map is not to scale. 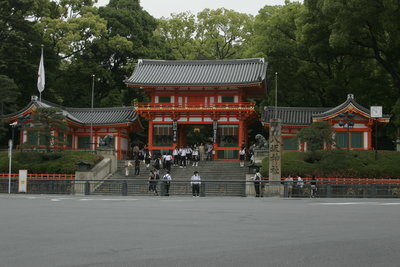 The distances may be off, too, because the imperial palace site sure felt like more than 1 km to me. 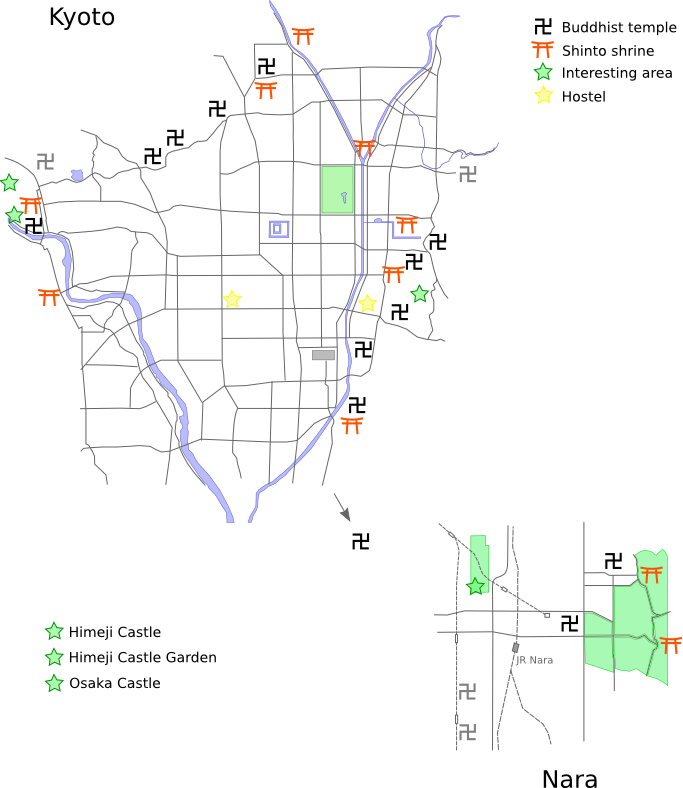 An Uji map, available at the convenience store immediately to the right of the JR Uji station. 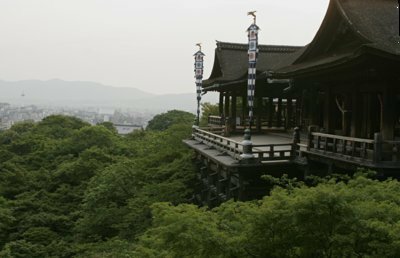 The city of Uji appears to be very eager to show off the many attractions that the Kyoto sightseers are missing. Almost no businesses take credit cards, including restaurants and hostels. 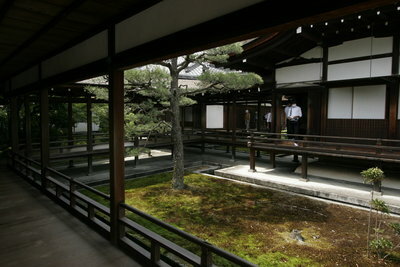 JR does take credit, though, although you may need to go to the JR Midori window (look for the green sign). You can a helpful bus map of Kyoto, as well as a less detailed street map, at the second floor of the tourist station across the street from the Heian shrine. The major hostels will also have the bus map. If you travel by bus, I recommend purchasing the day pass for 500 yen, as you need to transfer busses a lot and each one costs at least 200 yen. Traveling by bus is no faster than by bike, but it is faster than walking, and better if you are tired out. 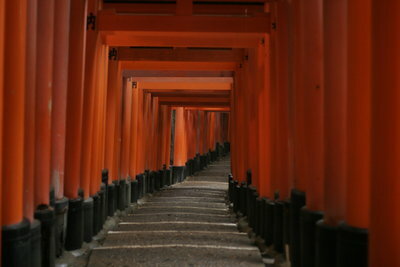 Avoid walking across Kyoto your first day just because you are too lazy to figure out the bus system. You’ll be hurting the rest of the week.